Clear Stem Protector: This device protects the rising shaft of the Actuator from the adverse effects of weather, sandblasting, contaminating operating environments, and painting. The material is polycarbonate tubing. Manual Override: This device is used to mechanically stroke the actuator. 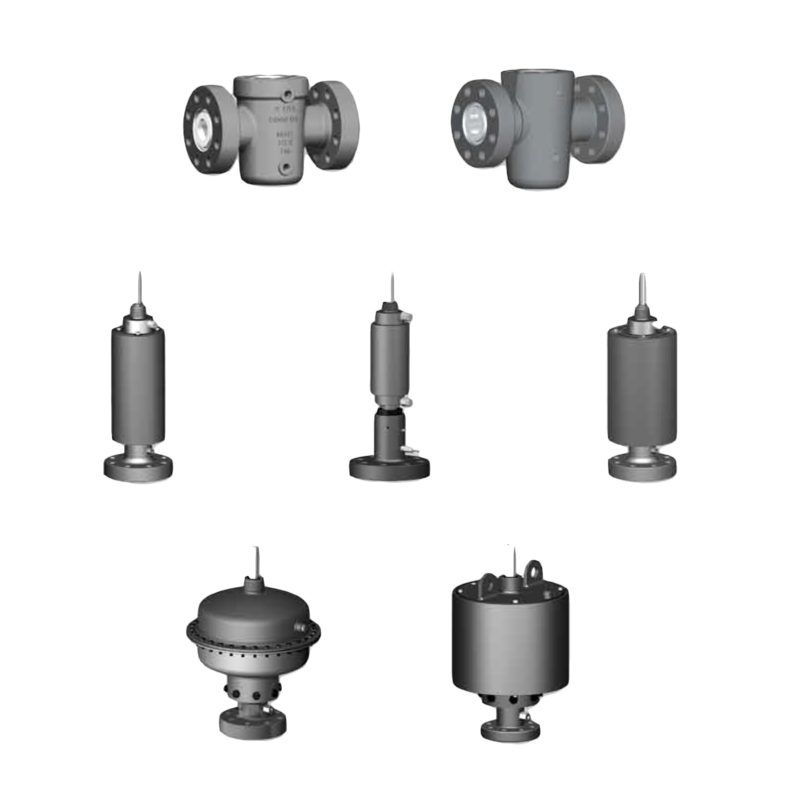 It is used on smaller valves or low pressure valves while the valve body is pressurized. It is typically used during installation and testing phases of well completions. Hydraulic Override: When high torque requirements make the use of a manual override impractical, this device may be used to hydraulically stroke the actuator. Typically used for stroking large or high pressure valves under pressure and sometimes during worker operations. Fusible Lock-Open Cap: Mechanically holds open the actuator and valve during workover or when the safety systems are inoperative. This device locks the actuator in the down position, allowing it to rise only in the event of fire. Electrical Limit Switch: An electrical contact permits a remote indication of gate valve position (Full Open or Full Closed). Typically used on large production platforms or automated leases where there are remote monitoring and control valves. Continuous Position Indicator: Linear displacement transducers operate at low currents. The frequency of their output can be used to provide exact position throughout the range between the open and closed position. Proximity Sensors: Innovative proximity sensors detect the presence of ferrous and non-ferrous metals. They function without the need for physical contact. Proximity Switch: This magnetically operated switch senses linear motion of the valve by magnetic action either with or without the need for physical contact. Pneumatic Switches: Pneumatic limit switches are available for use when electrical supply is not present. Magnetic Read Switch: This magnetic read switch device is activated by a magnetic field. It monitors linear travel of the gate valve. The switches are totally sealed against harsh environments.